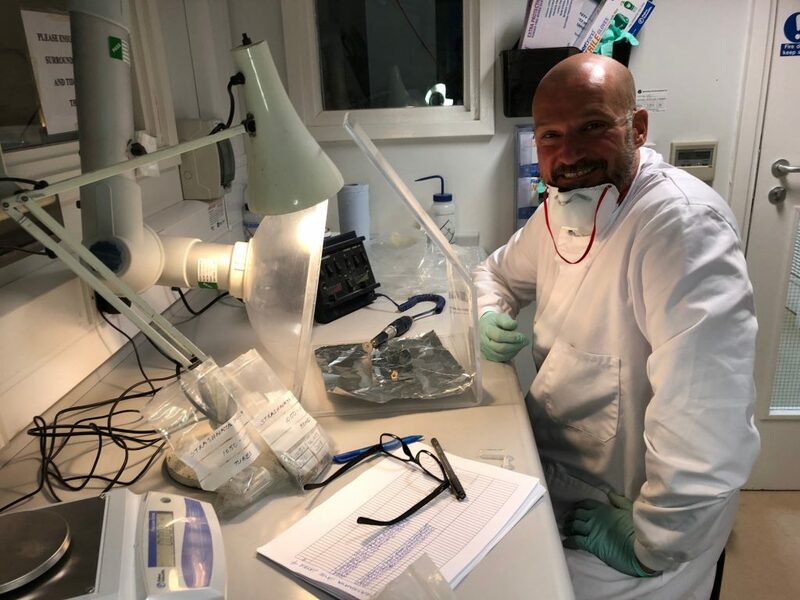 Geoff Church, is an archaeology student from Birkbeck, UCL, helped us sample material from Strashnaya Cave in the Siberian Altai. 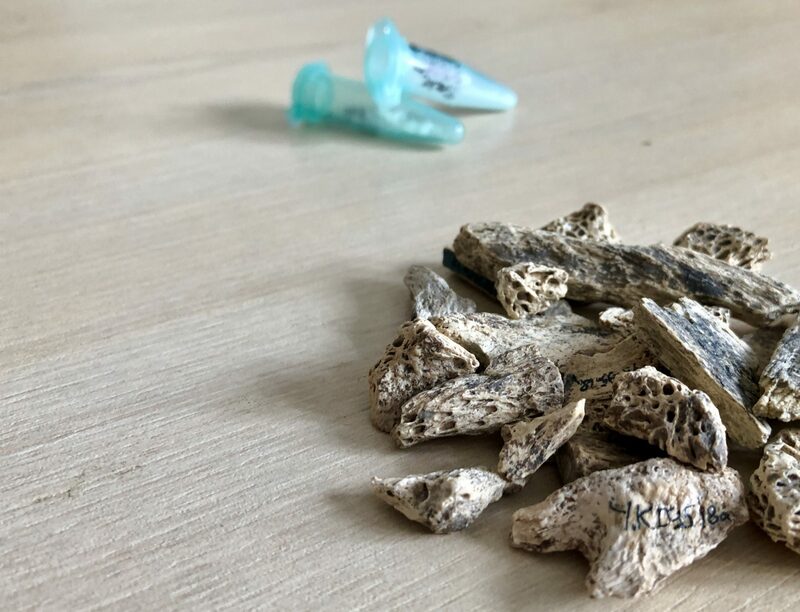 Geoff worked tirelessly for a week in late June 2018 and managed to sample nearly 500 bones! Strashnaya Cave has been most recently excavated by Andrei Krivoshapkin and colleagues and has yielded already some human fossils. Laura Daddy at the ZooMS wet chemistry laboratory in Jena. 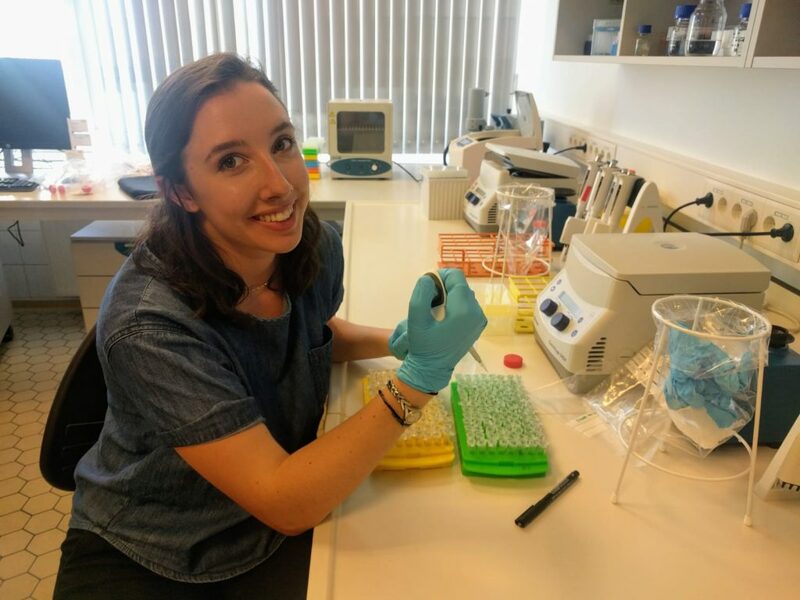 Laura Doody, an undergraduate (senior) studying neuroscience and classics at Union College in New York (USA), came to Jena for 6 weeks between June and July. She worked alongside Samantha Brown and helped us sample and analyse several hundred new bones from Denisova Cave. FINDER project has received funding from the European Research Council (ERC) under the European Union’s Horizon 2020 research and innovation programme (grant agreement No. 715069 — ERC-2016-STG).